INE’s scholarship is back again. Through the years Brian Dennis, CCIE #2210 (Routing & Switching, ISP Dial, Security, Service Provider, Voice) and Brian McGahan, CCIE #8593 (Routing & Switching, Service Provider, Security) have been devoted to revolutionizing the way CCIE Lab training is approached. Since 2004 their vision of success for CCIEs has changed the market and helped shape where it stands today. From inventing new ways to tackle technologies, to their famous CCIE Lab Workbooks, and now the highly sought after 10-Day Bootcamp, “The Brians” and INE continue to help networking professionals around the world achieve their own CCIE certification. As part of Brian Dennis’ and Brian McGahan’s ongoing commitment to the CCIE community, INE is pleased to announce the INE 2012 Scholarship. 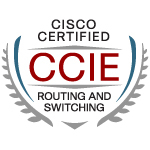 For CCIE Routing & Switching applicants, we will be choosing a scholarship recipient per region (Africa, Asia, Canada, Europe, Middle East, North America (US/Mexico), Oceanic (Australia) and South America) from the applicant pool. For those interested in CCIE Voice Training, we will be choosing two recipients from around the world. INE is providing a total of 10 CCIE Training Scholarships valued at $120,000! Good news for all you SP guys that were waiting for INE’s updated workbooks and rack rentals to come out. Looks like that should happen by the end of this month. Also Narbik is supposed to release his SPv3 workbooks as well next month. I’ve been getting a lot of emails recently asking when our updated CCIE Service Provider Version 3.0 Workbooks and Rack Rentals are going to be released. And the answer is… soon 🙂 In fact sooner than ever. We’re looking at somewhere around the end of March for the release of both the updated Workbook and Rack Rentals. The updated Workbook will be broken down into two sections, Technology Labs and Full Scale Labs. Essentially this will be the merging of the previous Volume 1 and Volume 2 workbooks into a single workbook that has two parts. A sample of the Technology Labs section of the CCIE SPv3 Workbook can be found here. I actually passed 🙂 Glad I didn’t leave the exam site after the Troubleshooting section! Will get a blog post going on the whole experience soon!